Heat tortillas as directed on package. Meanwhile, in small bowl, mix cream cheese, cumin and salt until blended. On each tortilla, spread 2 tablespoons cream cheese mixture. Layer remaining ingredients evenly over half of each tortilla. Tuck in sides of tortillas; roll up tightly to enclose filling. Grind fresh pepper and sea salt over wraps before rolling up. 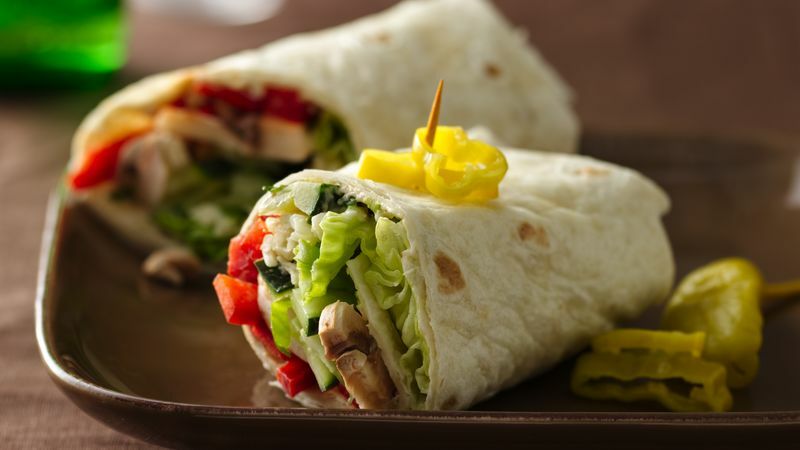 Turn these into chicken veggie wraps by substituting chopped cooked chicken for the mushrooms.